Actually, I'm not sure about that. 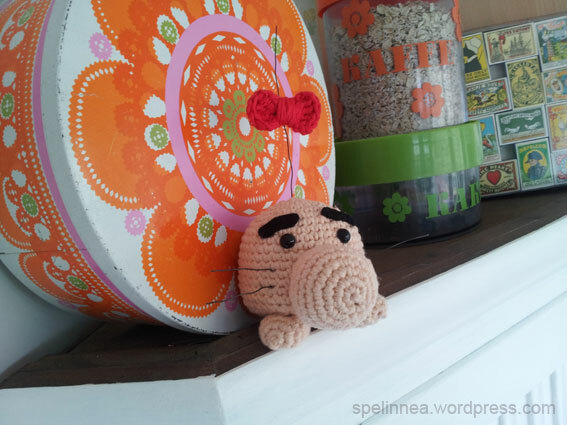 I mean, is the Mr. Saturn amigurumi shown below really cuter than the WadaDon (the precious Taiko no Tatsujin protagonist) amigurumi seen in this previous post? Ah, who cares. Both are pretty damn adorable, don't you think? Both of the above-mentioned amigurumi were made by the same person, by the way--with that person being blogger Spelinnea. 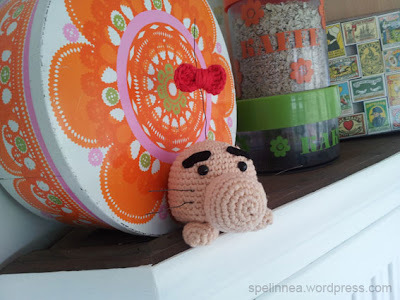 Those of you who can crochet may want to check out this recent blog post, as it includes instructions on how to make your very own Mr. Saturn amigurumi. Oh, man! Thank you for posting this. While both of those are pretty cute, like you said, I've always had a soft spot for Mr. Saturn. Hello again, SpeLinnea! Oh, you're very welcome. I couldn't help but write a post about your creation after coming across it. Awesome job! Master Belch. Hands down. Or maybe the Putrid Moldy Man. Oh, I'd love to see either of those, Justin! Shinobi x Ninja Gaiden x Strider, you say?